In this captivating book, Bob Thompson opens a window onto the soul and lets the welcome breeze of his writing freshen many of our traditional perspectives on Christianity. Using humour and a light and accessible tone, he challenges religious orthodoxy in a non-confrontational way that encourages us to live our humanity joyfully, thankfully, and fully from our hearts. He offers an image of God that is not obscured by rigid dogma, the idea of separation, or an obligatory sense of unworthiness. 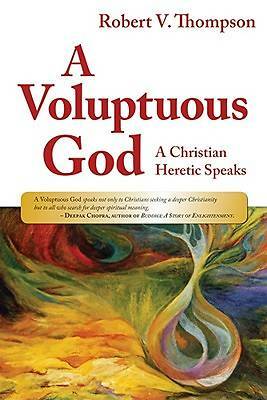 Voluptuous is not a word most of us associate with God. Yet God is delicious, says Thompson. God takes pleasure in simple things. God knows "that laughter is the best medicine, that only love can heal what ails us, and that only joy can cause our hearts to sing." Thompson calls us to worship a God of intimacy rather than a God of distance. God and humanity hunger for closeness, and so Thompson calls us to an intimate relationship with the divine. The book is rooted in the Christian tradition but affirms that truth is found in other religions and spiritualities, and in secular practices. It offers an exploration of the place - which is here and now - "where we belong to God and to each other." A Voluptuous God questions, and offers insights into, many of the ideas and experiences our minds and souls dance with daily. It allows us to examine our personal spiritual needs and makes accessible the larger spiritual truths that give shape and meaning to our lives.